Whether you’re remortgaging for home improvements, or seeking a better rate when your current deal ends, it’s inevitable you’ll have questions about the process. Our remortgage guide talks you through every stage, providing invaluable advice about the legal implications of remortgaging and the best time to start comparing mortgage rates for a money-saving new deal. Sometimes you might want to do a combination of the two. We recommend starting the remortgage process 6 months before your initial deal ends so that you have time to compare mortgage rates and lenders. What if I want to stay with my current lender? If you wish to stay with the same lender when your current deal comes to an end, you can simply complete a product transfer. This means you will be placed on a new product with your existing lender. This is something Mortgage Scout can do for you. Free Legal Package vs. Paid Legal Package – which package should I take? As with any mortgage, a remortgage is a legal transaction and involves a solicitor. As the property is being transferred from one lender to another, the new lender must know if there are any issues with their charge on the property. They need to make sure that the previous lender is paid back and that the right amount is asked for. They will do their own checks on the title of the property and their own charge must be registered by the Land Registry. 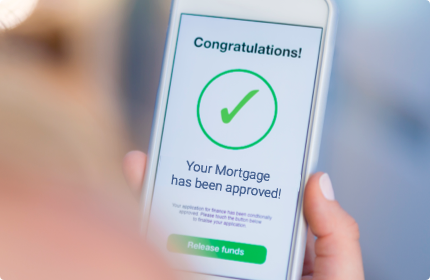 As the competition heats up between lenders for remortgage business, many lenders now offer a free-legal package allowing customers to save on legal fees. However, as free-legals become increasingly popular, levels of service have dropped and, unsurprisingly, complaints have risen. If it is a simple remortgage with time to spare, then the free-legal process is fine. If it is more complex, it is best to choose another option. Many remortgage lenders now offer a cash back option towards legal fees. This is usually between £200 to £500 and goes some way to covering the full legal cost. This enables you to instruct your own solicitor, safe in the knowledge you are dealing with someone you trust. Or you can choose to use your own solicitor and pay the normal fee. If time is against you or it is a more complex situation, your own trusted legal adviser is probably the best option. I've received a questionnaire from a solicitor about my remortgage – do I need to complete this and return it? Yes, it is really important that you send this questionnaire back as soon as possible. Some of the questions can be quite technical so you might want to ask your mortgage adviser to help you with it. There will be a question asking when you want to complete; if you are remortgaging because your initial deal is coming to an end, then it is important that you state on the form that you want to complete after your initial deal ends. If you are unsure of this date, speak to your mortgage broker as soon as possible. I’ve received a letter from the solicitor saying there is a deficit/surplus – what does this mean? A deficit means that you might not have applied for enough money on your new mortgage to repay your current mortgage rate. There are a number of reasons for this – your solicitor will request a number of redemption statements from your existing lender leading up to your completion date. Unfortunately, these statements will probably still include an early redemption penalty, and may not take into account any recent mortgage payments you may have made. In either case, speak to your mortgage broker to check the details. If you have a surplus, you might have been expecting it if you were borrowing extra funds. If, however, a surplus is a surprise to you, it is likely to be because of the extra mortgage payments you have made since the statement was applied for. Again, speak to your mortgage broker to clarify. Mortgage CalculatorsWhy people choose us? Moving forward with your mortgage plans depends on how much you can borrow. Whether you’re a first time buyer, moving home, remortgaging or buying to let, our industry standard mortgage calculators gives you a quick and reliable calculation of monthly repayments. There’s a handy tool for calculating stamp duty too. So once you have your answers, ask Mortgage Scout to find you a money saving mortgage that matches your maths – simple. Mortgage Scout provide a trusted professional service. 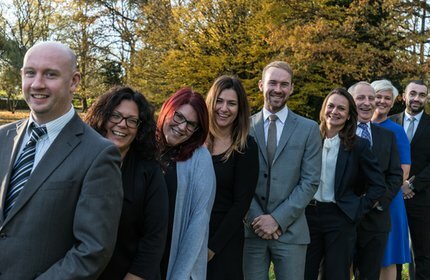 Our mortgage advisers love what they do, and their dedication to finding money saving mortgages lets our clients live the life they’ve always wanted.